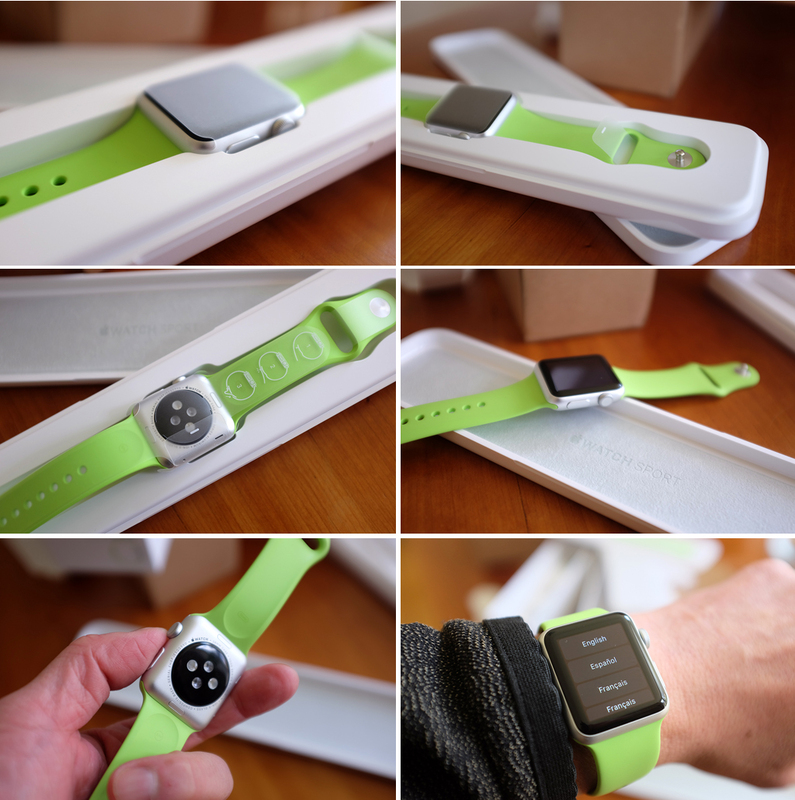 Our Apple Watch—Sports Edition, 38mm, Green Strap—arrived a few weeks ahead of schedule. 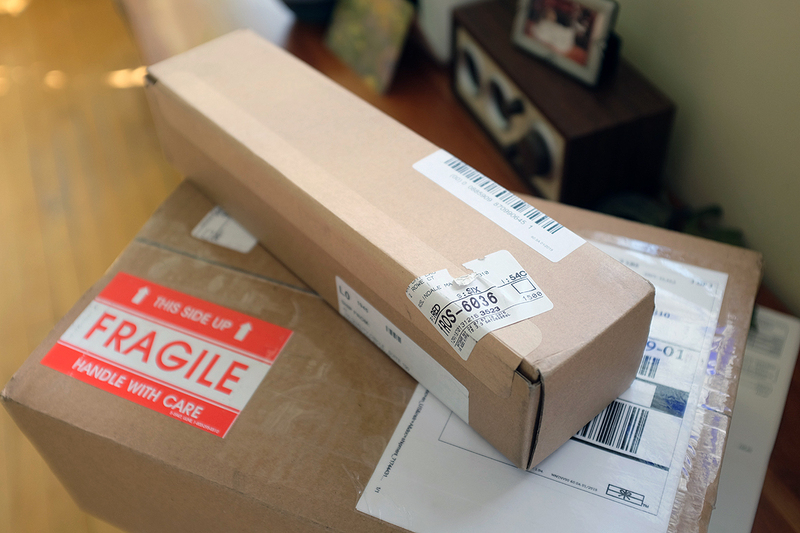 It came packaged in a heavy-duty rectangular box with no Apple markings whatsoever, not even on the shipping address. Not sure if this was done for security reasons or what, but we are sure there was a reason. Once opened, we were greeted with a gleaming white box with an embossed Apple logo. Yes, it was Apple Watch. Opening a box and removing its contents is a simple act, but Apple really knows how to make it an enjoyable experience. 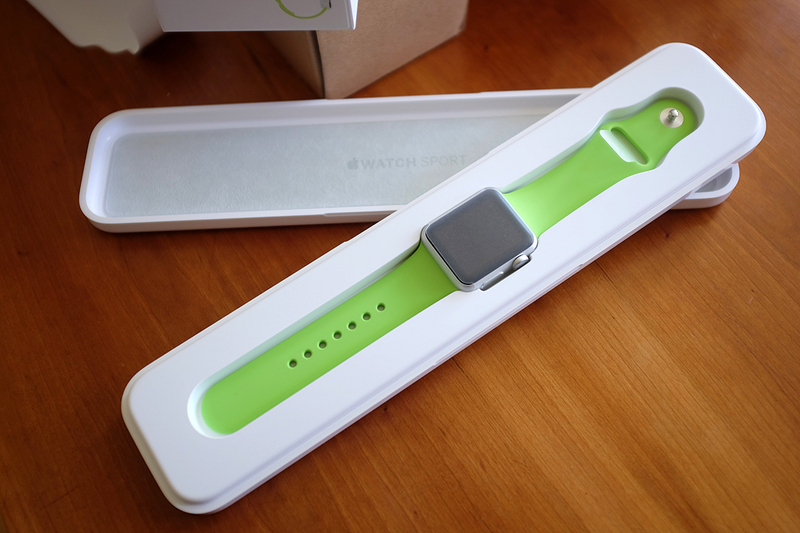 For those who don’t want to just rip into it and get on with their next task, we give you: Apple Watch unboxing. Lifting the lid off the box, we were met with two tabs. This was so we could remove the case containing Apple Watch without having to turn the box over and unceremoniously dumping everything on the table. 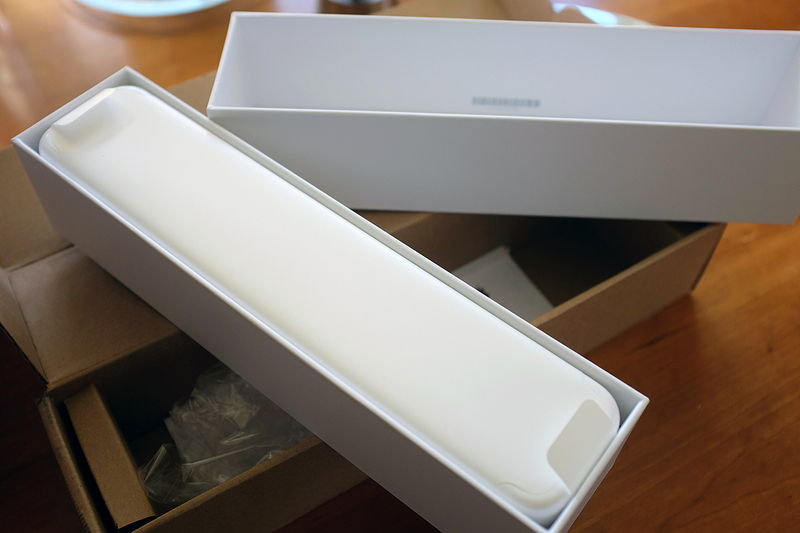 The Apple Watch case was tightly wrapped with a sleeve. Like the shipping carton, this sleeve also had a rip-strip. No knife, scissors, or fingernail needed for this unboxing! Underneath the case were the accessories (directions, longer band, charger/cable). 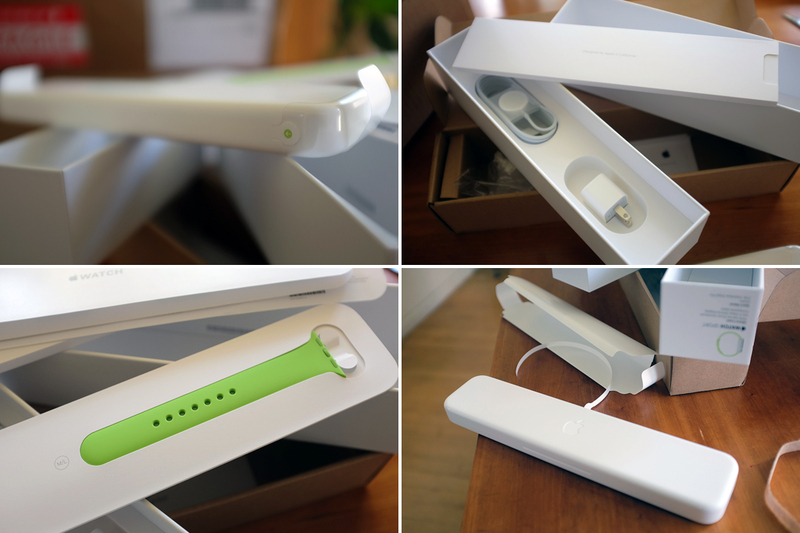 With the sleeve removed and the top uncoupled, we got our first look at and were greeted with the happy-looking Apple Watch comfortably nestled in its custom-molded case. Like the case, there was a tab to assist with lifting out Apple Watch. Directions for strapping on the band (a bit different than the typical one) was on the wrapper. The final step was to completely remove the last layer of wrapping. With the wrapper removed, the unboxing of Apple Watch was complete. Apple Watch came partially charged so we were able to strap it on and play around with it immediately. Of course, we couldn’t really do much without going through the “setup” sequence. Life has its irrelevant moments; they are there if one cares to savor them, and Apple has always taken the effort to make them enjoyable for those who do. BTW, the sudden arrival of Apple Watch meant we had to upgrade our iPhones from the 4S (which we were completely happy with) to something a bit more current. We settled on the iPhone 6 Plus and will have more to say about that on another day. 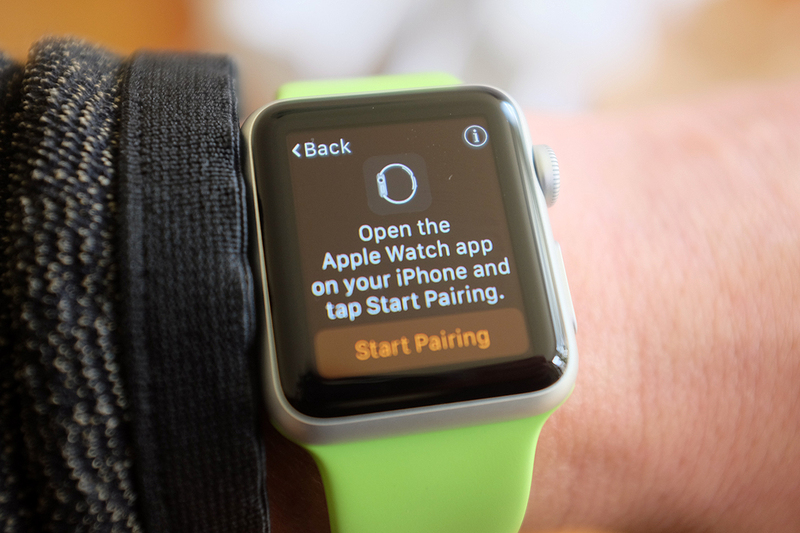 For the next few posts, we’ll focus on Apple Watch.